It's real ... if you can get to St. Louis in a hurry. Burger King is punking us, yet again. Or is it? 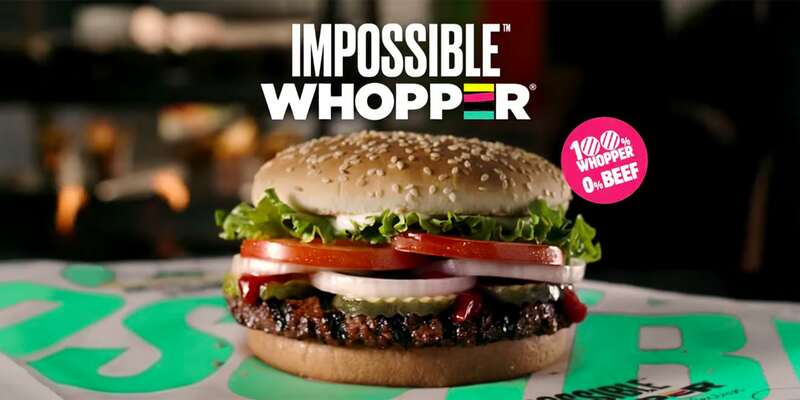 The fast-food giant, known for April Fools’ Day stunts like the chocolate Whopper and the in-home ordering kiosk, busts out a Whopper today that contains no actual hamburger meat. That’s right, it’s “100 percent Whopper, 0 percent beef” and, according to the brand, nearly impossible to tell apart from the original Whopper. If you’re suspicious of the timing of this announcement, join the club. But also check out the results of a taste test that fed the new sandwiches to regular customers without telling them about the ingredients. It’s a timely move, since competitors like White Castle (with a $1.99 Impossible slider), Umami, Wahlburgers and New York’s Momofuku Nishi are serving the protein-packed beef-like burgers from the fast-growing Silicon Valley startup. And Burger King expects to get the side eye for this April 1 debut because the brand, historically, loves pulling a good prank (hijacking Google Home, picking a fight with the King of Belgium, etc.). But the brand’s spokespeople swear that, unlike Whopper-flavored toothpaste, this isn’t fake news.